The Rebel Sweetheart. 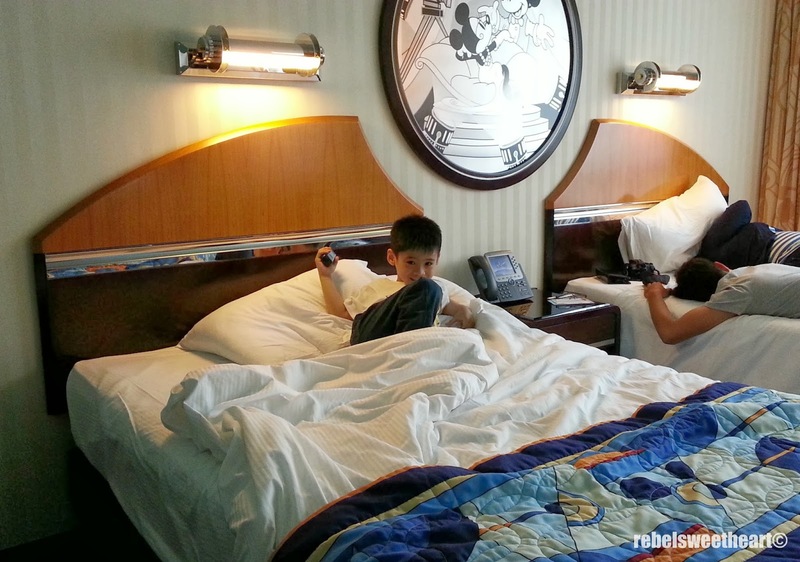 : Hong Kong Holiday | Disney Hollywood Hotel. 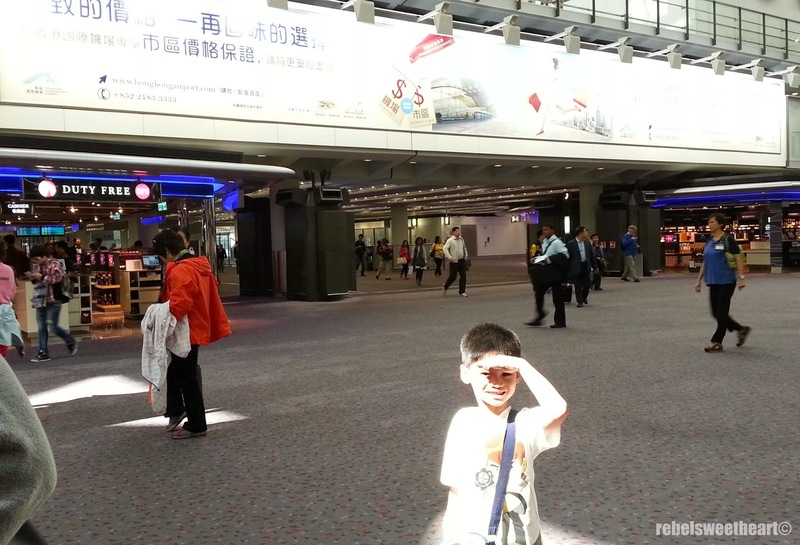 It's been three months since our Hong Kong trip, I know. But you know what they say, better late than never! 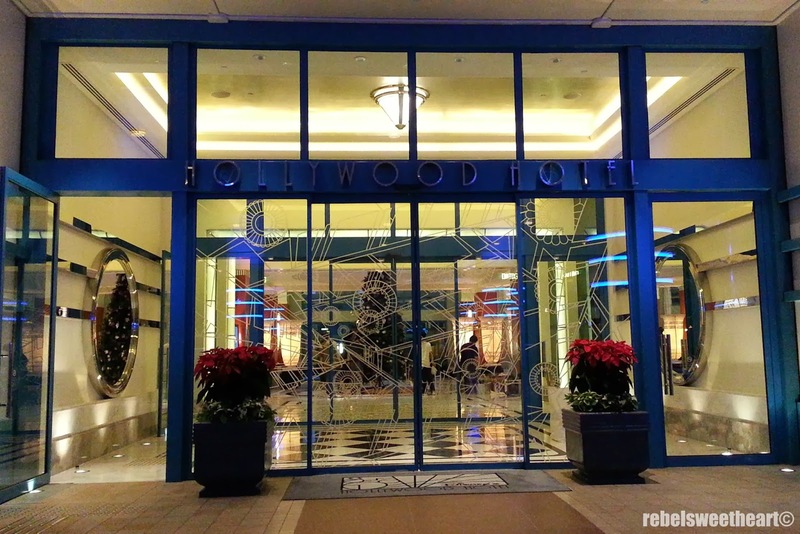 And since it's almost summer - the best time of the year to leave the country and go on a vacay - I thought it would be nice if I could share with you our experience at Disney Hollywood Hotel. 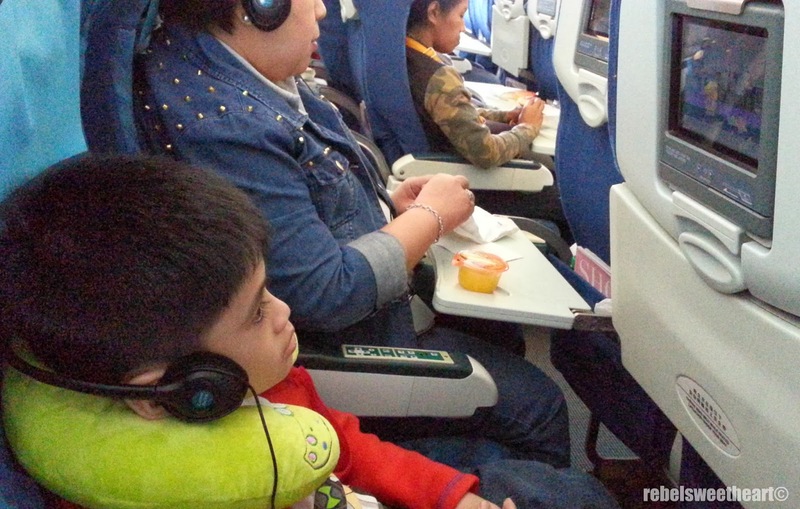 We stayed there for two nights and three days, as part of the vacation package that we availed thru Cathay Pacific. 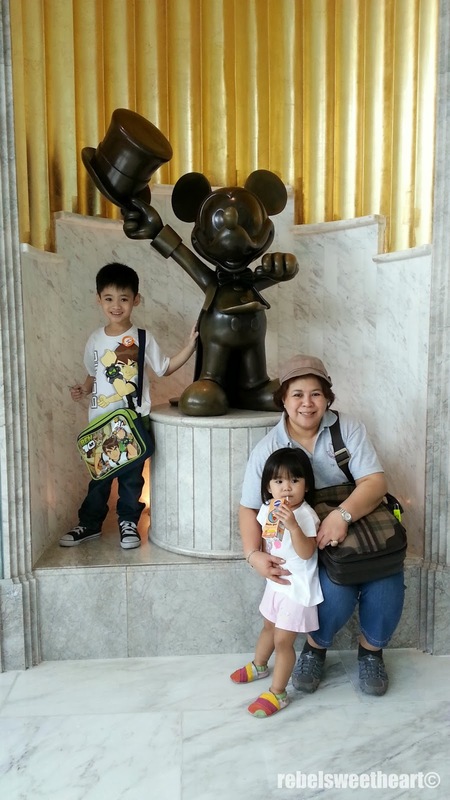 The package includes airfare, hotel accommodation, return airport/hotel transfer, plus 2-day tickets to Hong Kong Disneyland. The little man enjoying his first plane ride. 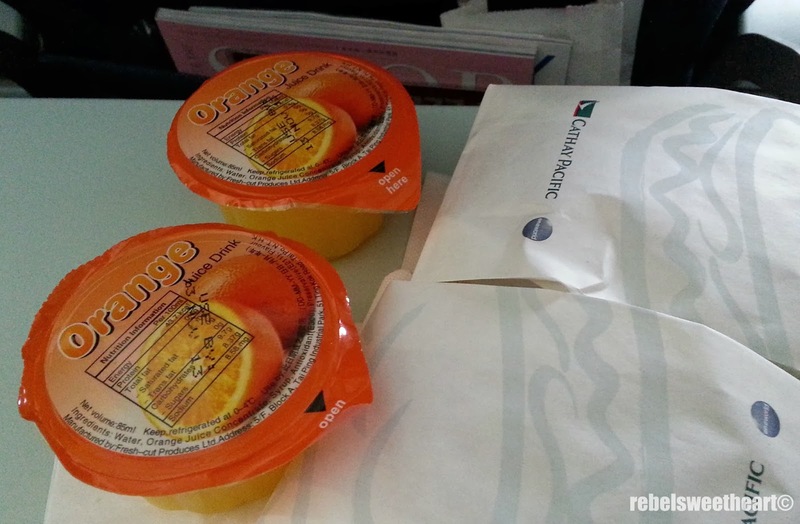 Airplane food for adults. Kids are served a different meal. 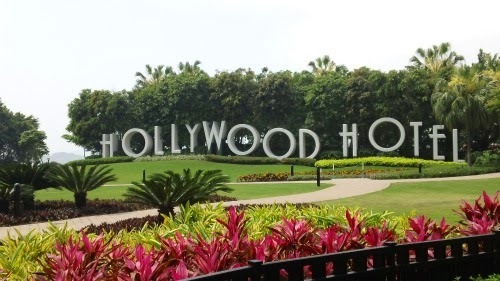 One of the two hotels located at Hong Kong Disneyland Resort, Disney Hollywood Hotel gives off a vintage vibe with its 1930s Hollywood theme. 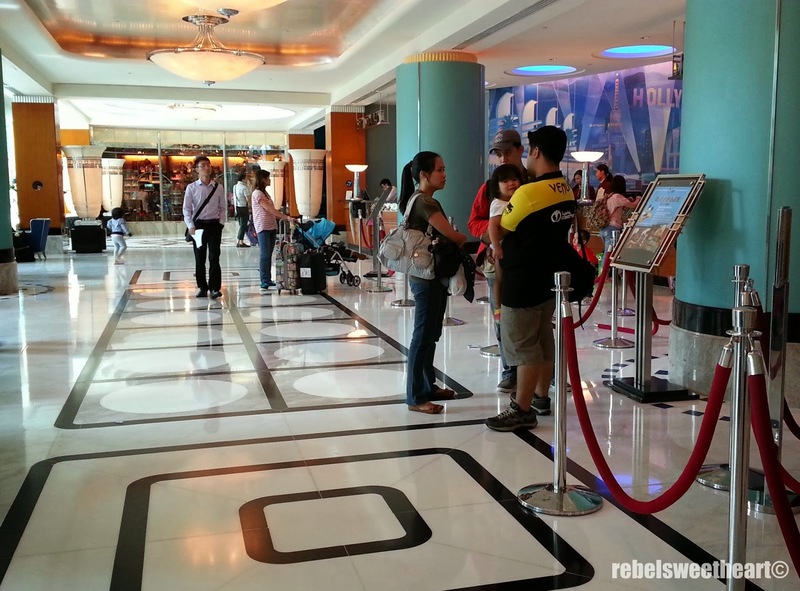 Here's the check-in counter at the lobby. 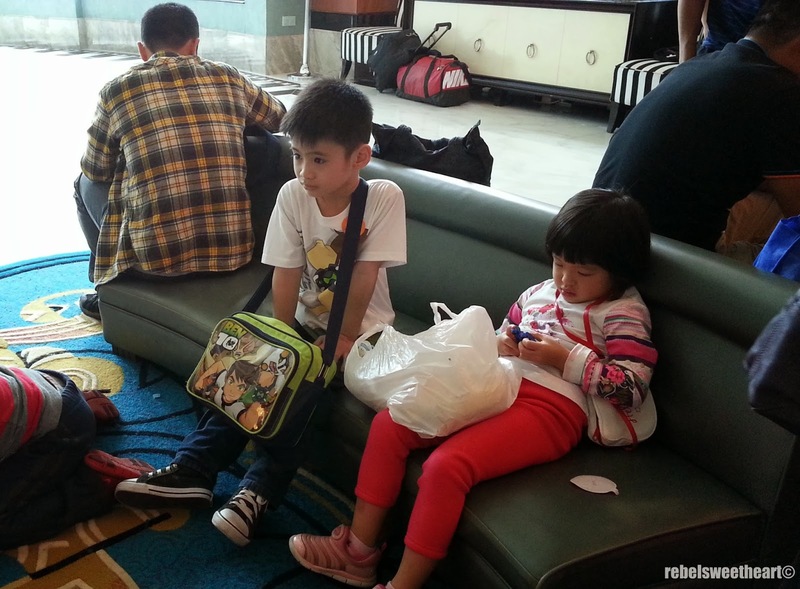 And the waiting area, occupied mostly by kids. Kick Buttowski was airing when we arrived. A better view of the lobby. That's my brother, niece, and sis-in-law on the right. The hotel has 600 guestrooms in total, categorized according to view. There's 'Park View' which overlooks, well, the park; 'Garden View' which overlooks the landscaped garden; and 'Sea View' which gives you a view of the stretching sea. We stayed at one of the Garden View rooms and here's the view from our window. And a little bit of the sea. The rooms are designed for a family of four. They come with either a king-sized bed or two double beds. Our room, which I shared with my son, my sister, and my brother-in-law, had the latter. My Mum, brother, sister-in-law, and niece were checked-in at the room beside ours and they had the same double beds as well. 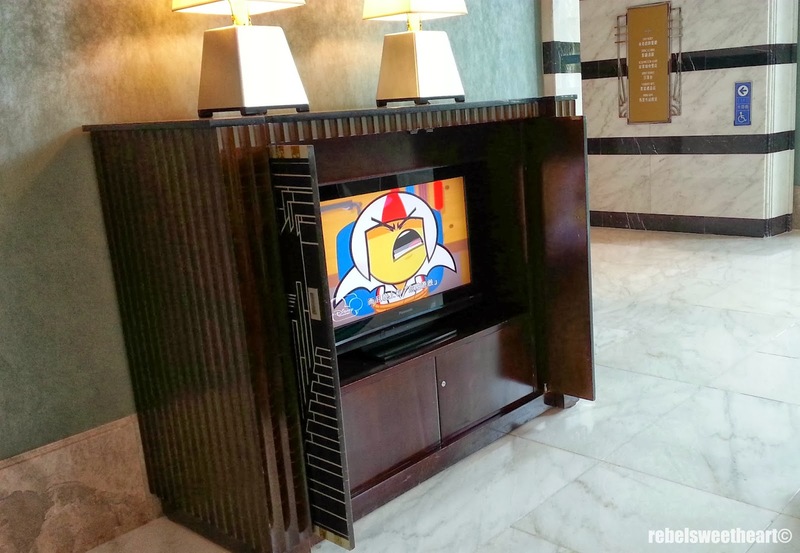 There's a flat-screen LCD TV inside the room, with so many Disney Channels. My son kept on flipping through them, not knowing which one to watch. Haha! 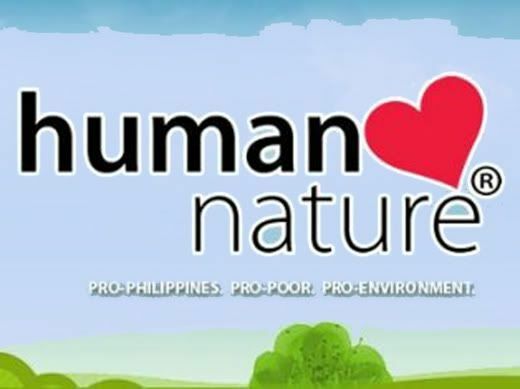 Finally settled with this channel that airs Little Einsteins. 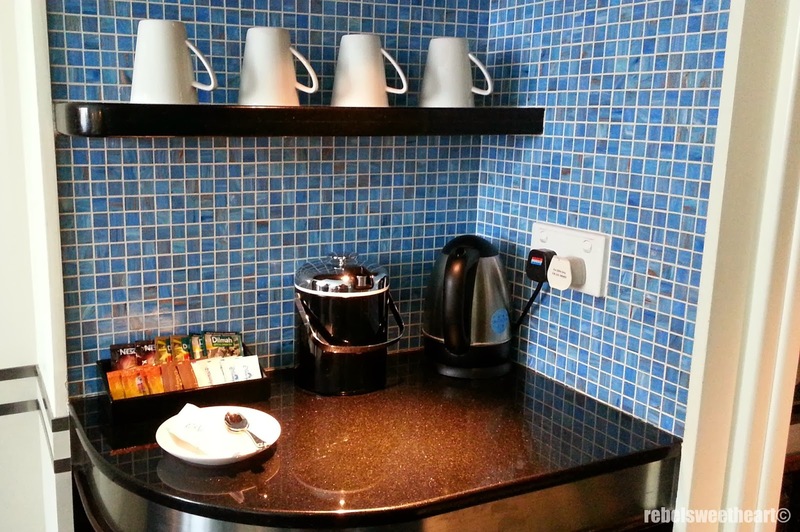 There's no fridge inside the room, but the mini bar comes with complimentary coffee and tea, plus an electric kettle. We got a few bottles of water, too. Wasn't able to take photos though, as we chugged them as soon as we got inside the room. Lol. The bathroom looks very posh with its black and white color scheme. Not as spacious as I expected, but it has a bath tub complete with water heater. I have one gripe, though. There's no bidet, which I found very uncomfortable, considering I'm used to bidets and dippers all my life. Woe is me, haha. Yes, I brought home that Mickey Mouse tumbler. Now if you're asking about internet access, yes, there's wifi inside the room! And it was fast enough for me to download my Kdramas, and upload photos on my social media sites. If you're thinking of going to Disneyland this summer, you might want to consider getting the same package that we availed. (Thank you, Mum for funding this trip!) 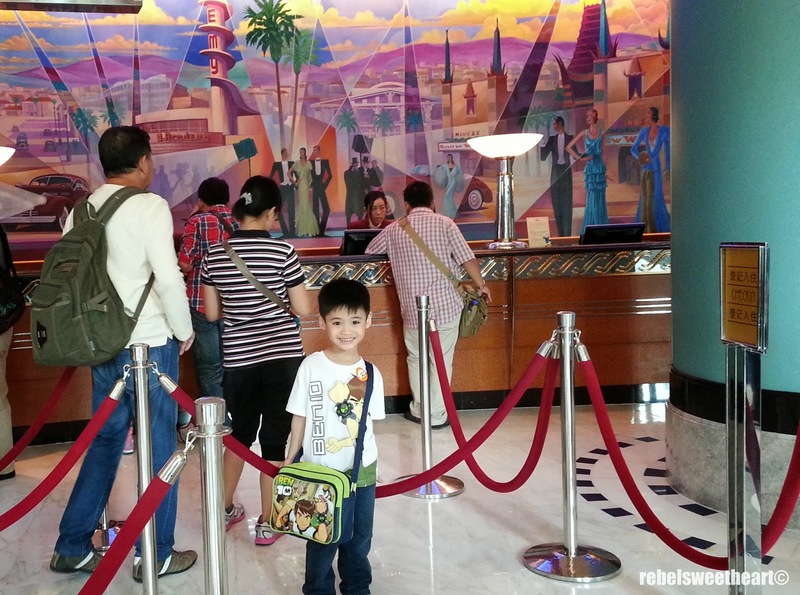 Prices start at $277 (around Php 12374); child package rate applies to kids ages 2-11. I didn't realize there were Disney locations internationally, but it sure make sense. I love the retro look!! NOTHING beats OLD HOLLYWOOD!!! Looks like a great hotel to stay when visiting the Disneyland! Love that the TV had a huge amount of channels with cartoons. Wow ..looks like a great place to stay it. It seems like a great hotel. The kids look like they are enjoying themselves. Sa-weet! I'd go just for the hotel room!